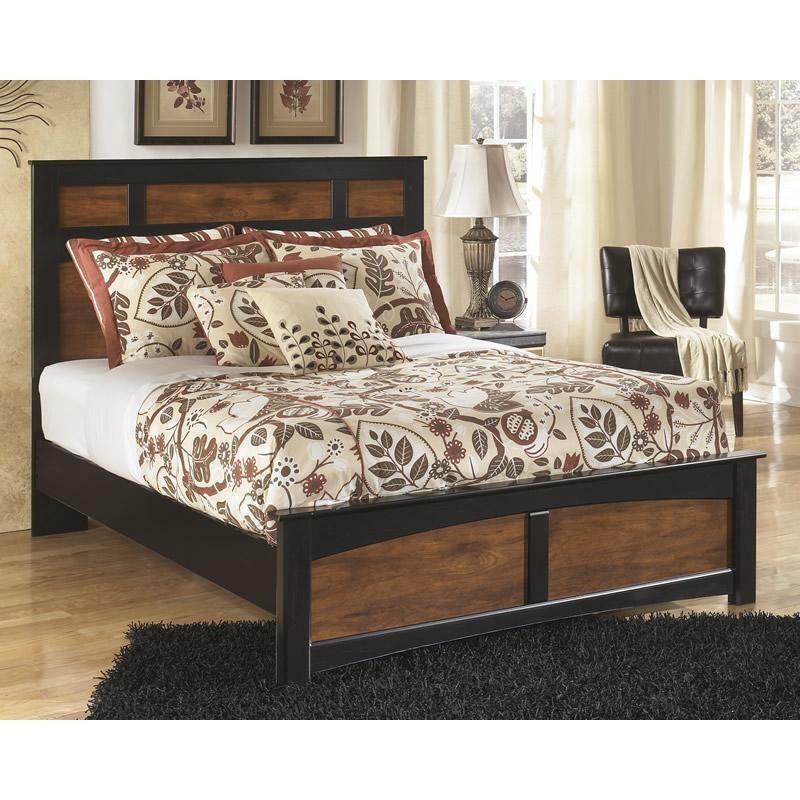 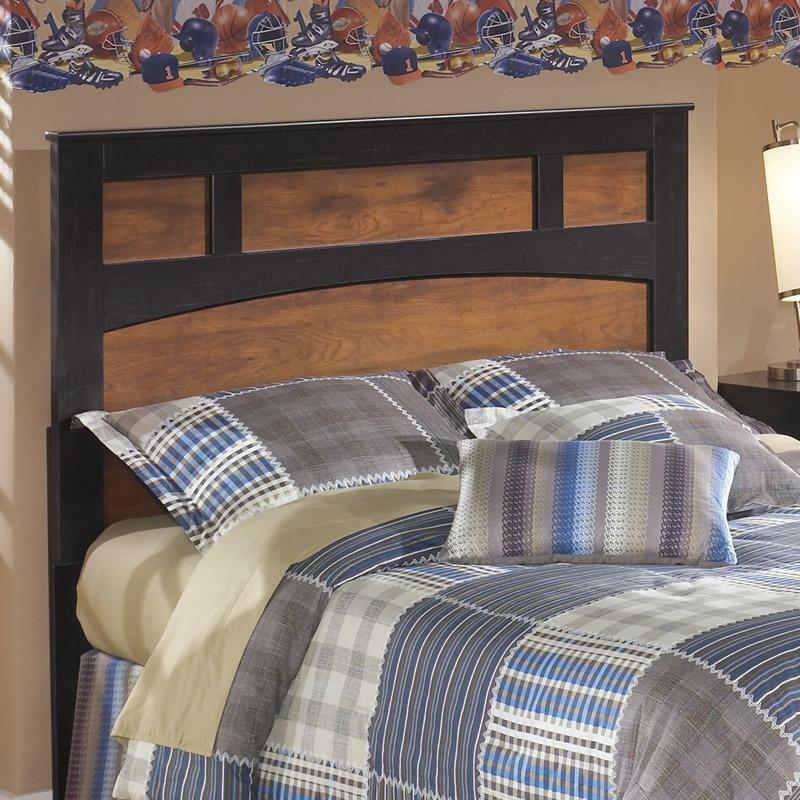 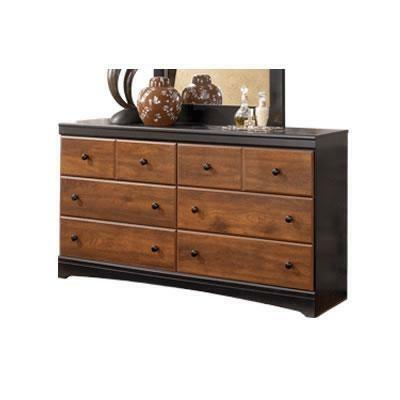 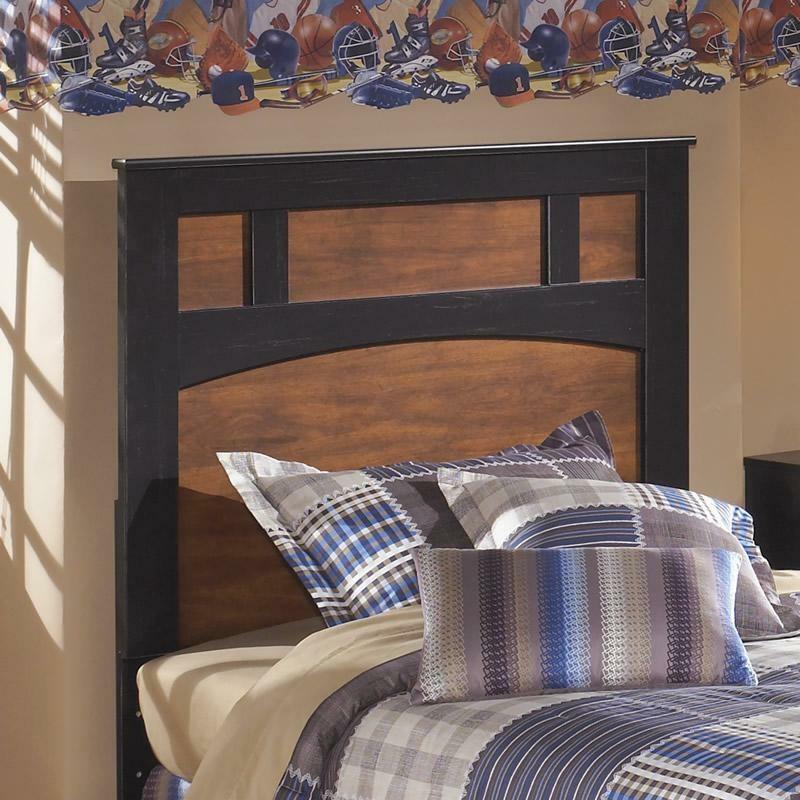 Signature Design Bed Components Aimwell B136-57 (Headboard) from Furniture King Pembroke Inc.
Add rustic beauty to a master bedroom, guest bedroom, or youth bedroom with the Aimwell Bed. 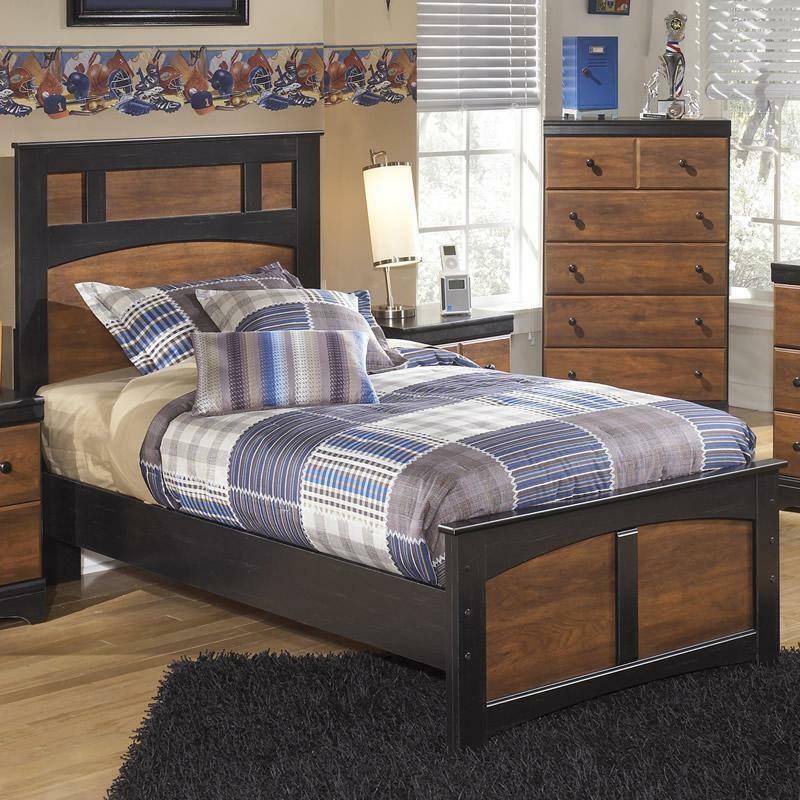 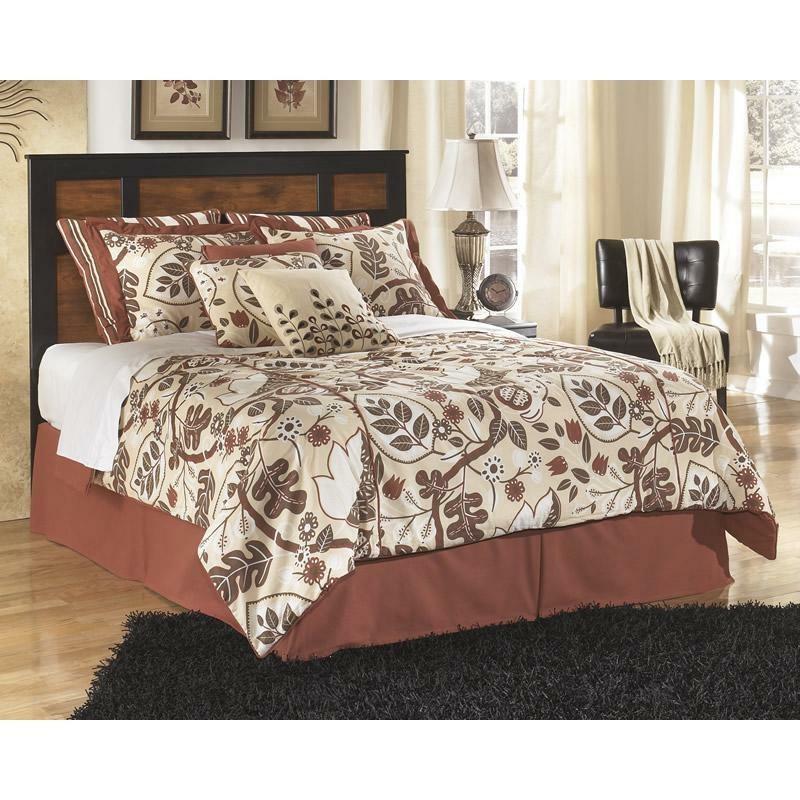 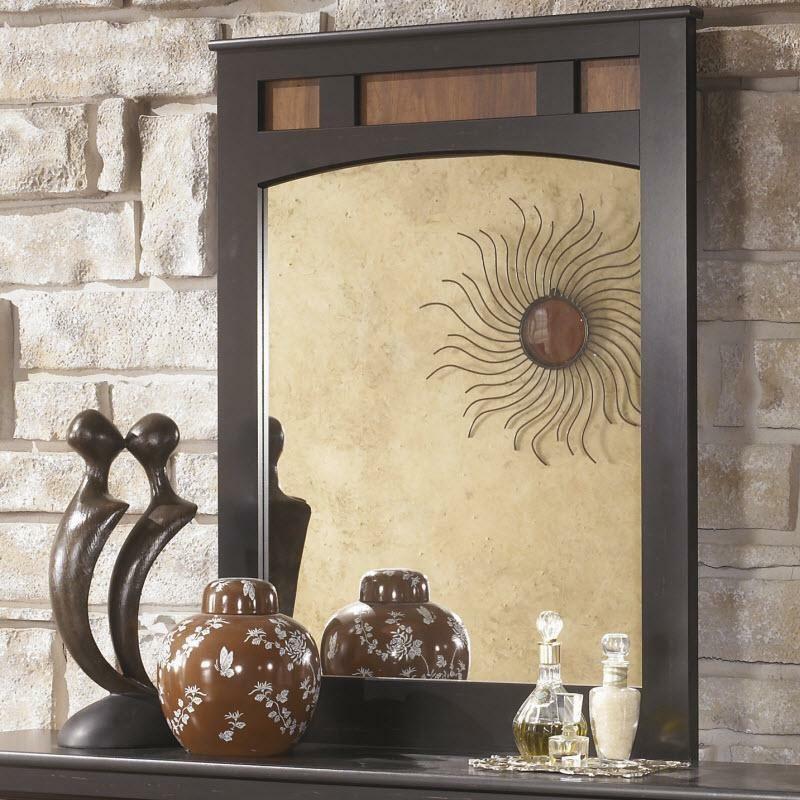 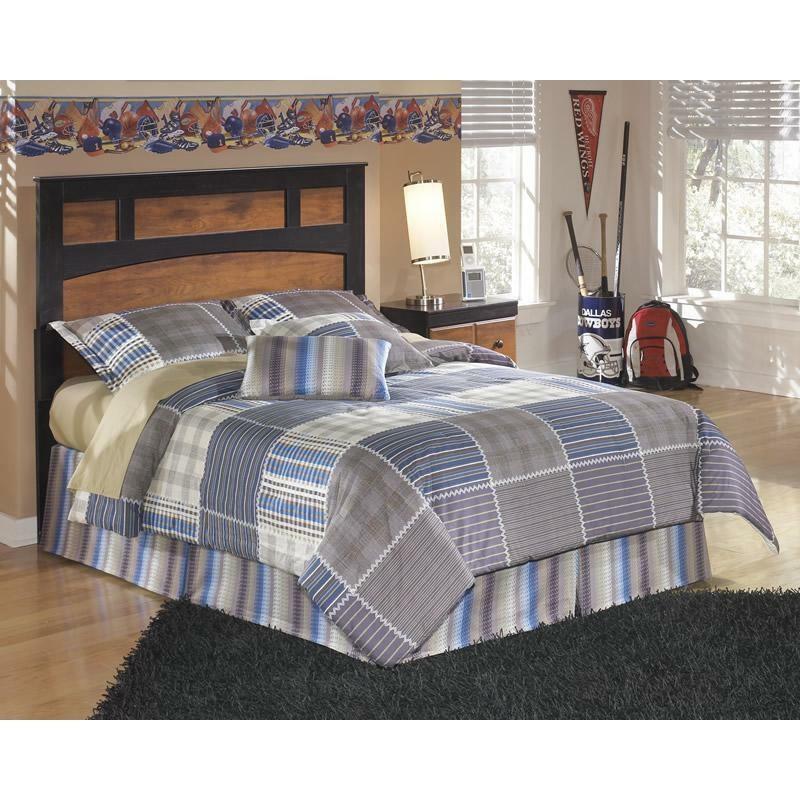 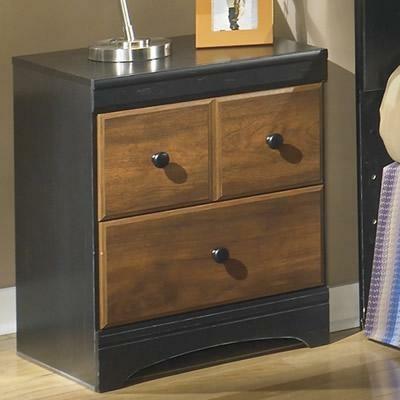 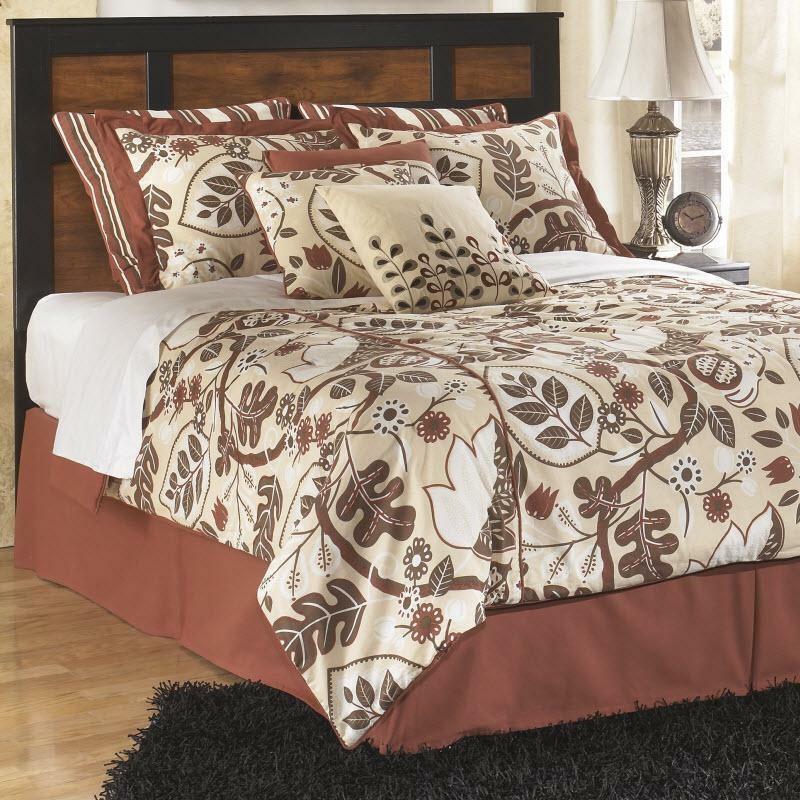 It features a two-tone finish with ample vintage casual appeal. 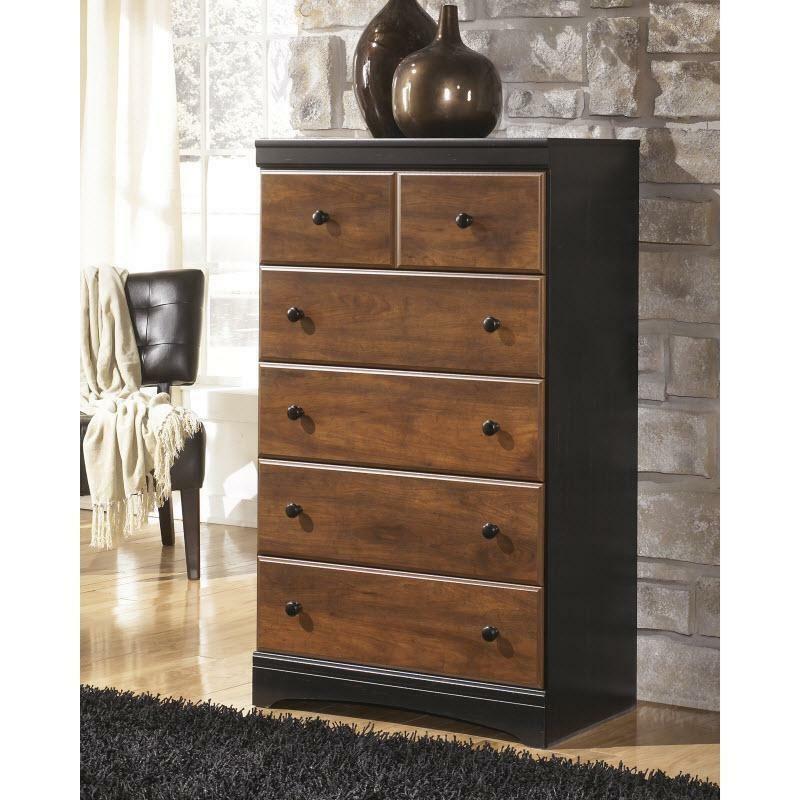 Its warm brown finish over replicated cherry grain contrasts perfectly with the deep black finish at the sides that features golden rub through accenting.